Content is critical in informing your users buying decisions and it plays a hugely important part in digital marketing strategy. It is about the value of the content that you’re giving to your target audience rather than the amount. Your content needs to be crafted in such a way that your client base is going to seek you out and trust you because of this. The evidence is there on the usage and effectiveness of valuable content, 74% of global enterprise marketers see their senior leadership believe content based ‘inbound’ marketing being the majority media mix in the near to medium future. Give your audience the content that they are looking for to support their decision-making and your e:commerce website will reap the benefits. 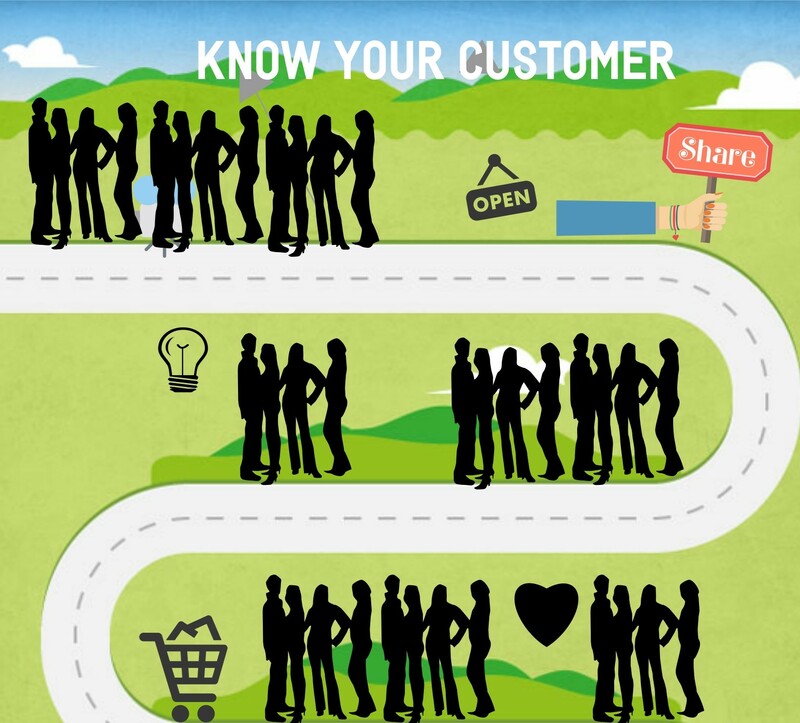 The business adage of ‘know your customer’ also applies in the world of content marketing. The importance of which is detrimental to your e:commerce website. Managing customer relationships is a key ingredient of business success – across all industries. Recent technological developments offer the potential to dramatically improve our ability to provide such management – by delivering information about customers, at a detailed and individual level, to those who are handling the interrelationship. The customer gets a better service, and the organisation gets a satisfied and loyal customer. How can you possibly provide content of value to your customer if you don’t really know who they are? Whatever point of knowing your customer you may be at with your brand there are various ways of finding out who they are and what makes them tick. With the development of content marketing, sales and marketing have been turned in such a way that the customer now comes to find you rather than you finding your customer. Your content needs to tie in with this and be very targeted to who your customer is and why they need to buy from you. Then you can provide the value that they are looking for. Your audience is highly discerning, most of your customers know what they want before they even go searching for it so you need to be in there with the right information at the very moment that they are. There are many great ways of conducting research on your client to form profiles. Do as much research into your customer as you possibly can as this will influence the type of content you know will be of value to them. Do surveys to find out what your customer thinks of your current content, what they like and don’t like. This information is essential to you providing content that your customer is looking for and it is easier to distinguish why they are buying from you. Use the information you group individual customer profiles into different market segments. Your content is supplying their demand specific to their segment. With this information you can then build on providing valuable content that your customers will come to find and rely upon and in the process you are gaining their trust. Through analysis of the survey results you will be more informed on content that would be important to your audience and then you can go about creating and providing this. Step 3: Have a conversation with your audience. 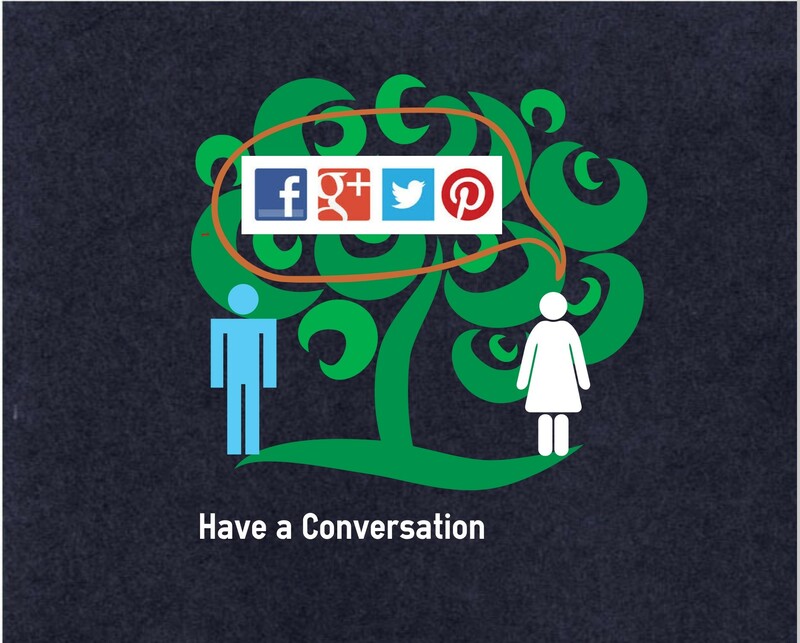 Social media is a great way for you to get to know your customer. Use social media channels to engage with and find out more about your audience. Welcome comments on your blog on all social media channels and blog posts and reply to all comments that you receive. These are powerful channels of interaction first hand with your clients. You build trust and really get to find out what they think of your business and services/ products. This can then inform on creating content of value. Step 4: Your content is the solution to your customers problem. Focus on your customers needs, not on what you sell. Marketers who build valuable content and stories that attract audiences build valuable relationships with customers and generate positive business outcomes. Marketers can develop content assets by delivering value to readers and customers as they demonstrate how their brands really understand challenges and needs. As you create content related to your e:commerce site that your audience come to find as a solution to their problem then you succeed in gaining their custom. Continue to provide valuable content for your audience and you will gain and retain many more customers over time and over the lifecycle of your e:commerce website. Step 5: Become a trusted source. Equipped with your knowledge on who your customers are, you can now gain their trust with the content that you provide for them. To drive value from your content focus on trust not traffic. Content brands are built by becoming reliable sources of valuable content that consumers proactively seek out, engage with and ultimately advocate for. Marketers should structure their marketing efforts to successfully build a content brand by addressing specific customer needs and delivering visible value with content throughout the lifecycle. Valuable Content Marketing is a very powerful way for you to connect and build credibility and trust with your target audience. If you give information that your audience is looking for then you’ve gained their attention and you can then become a trusted source. In the sales process we’ve all heard that people buy from people, and people buy from people who they trust. People now know what they’re looking for already before they buy. As they come to find you through the valuable information that you are giving them then they’re more likely to buy from you aren’t they? Your content through your blog, website ,newsletter whatever platform it may be is giving your audience something of great value to them. According to a recent Nielsen report consumers crave real content when making purchase decisions and their findings back up the importance of trust. 67 percent of consumers agree that an endorsement from an unbiased expert makes them more likely to consider purchasing. Build trust through expert advice and information, and build credibility with your audience. Step 6: Write really good quality, unique, relevant content. 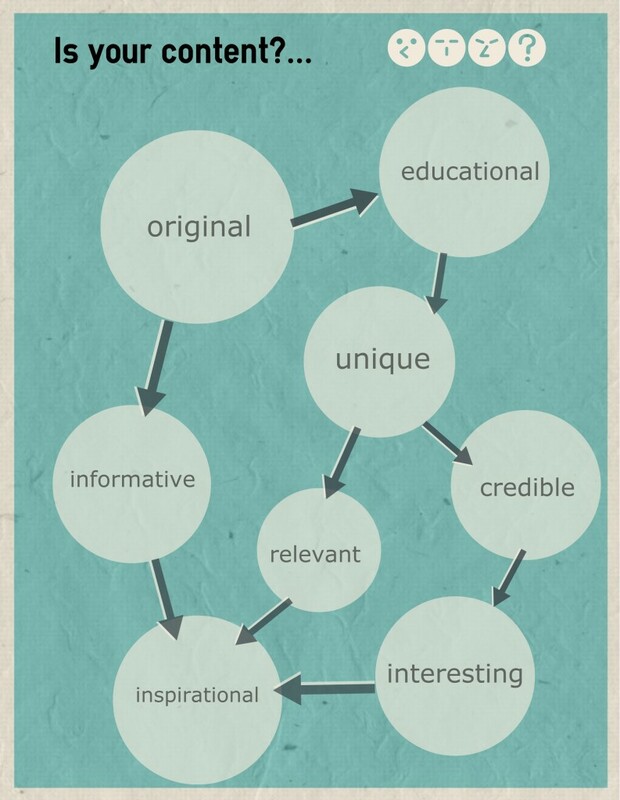 Is your content original, unique, educational, informative, interesting, relevant? If it’s a resounding yes then you are on the right track to providing content of value to your audience. Step 7: Act like a publisher. Linkedin have embraced this with staggering results. Jason Miller, head of Global content and Social Initiatives, says that content marketing offers a ‘face-melting ROI.’ He gives his take on how to do this right. ‘You don’t need 15,000 blogs a day. You just have to look on content like a turkey. You start off with one big one, then you carve off the turkey slices.’ Start in an area where you want to own the conversation, then carve off the turkey leftovers into lots of other pieces of content. Create the all encompassing guide to whatever the hell conversation you want to own. Act like a publisher,’according to Jason. LinkedIn proved this case in point with their very own ‘The Sophistocated Marketers Guide to LinkedIn’. They were sincere in their aim for the guide as being a labour of love for them and a one stop-shop for everything a marketer needs to know about getting the most value out of LinkedIn for themselves and their company. It helps marketers increase awareness, influence perception, generate high quality leads, and ultimately drive revenue with LinkedIn. Then they dispersed this content into channels, ebooks, interviews with experts, 15 blog posts. They got 28 pieces of content from this one big rock in the form of e:books, quarterly reports, pdf’s, blog posts. It worked, LinkedIn got an 18,000% ROI from this one piece of content. The value of it’s content ticked all the bloxes, being highly relevant, interesting, informative, educational, authorative, expert. It is evident how the creation and planning of valuable content can have such far reaching effects for an e:commerce website. Step 8: Look to thought leaders. Who are the thought leaders in your field? What are their thoughts and opinions and how can you add to this when formulating your content. When you’re researching into what makes valuable content in relation to your target audience it makes sense to look to these people as they are people that we really come to know as an authority on their specialist subject. Find your leaders in your world as your business grows and evolves. Learn from these people as you go and then you yourself can be equipped with your unique take on things that you’re knowledgeable on. We are in the digital age of sharing, that includes sharing what you have learned from others. This is the back bone of valuable content, it is educational, telling the person something that they came to find out, hence the search. Thought leaders are there to be learned from and in turn you can provide this highly coveted information to your audience. Step 9: Focus on your goals. What are the goals of your content and what are the goals of your business. Demand and lead generation are the top reasons global companies are engaged in content marketing. You need to have clear and concise goals for your content marketing in line with your business goals.The clearer the focus of your goals, the more targeted your content marketing will be. Along with satisfying your audience your content has to benefit your business. 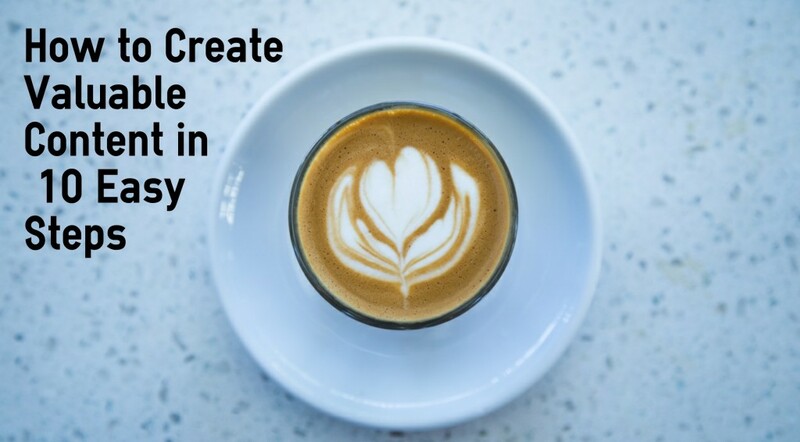 One of your main goals would be to do both with creation and provision of valuable content and this will work towards reaching your business goals. Consistently test and analyze the results of your content. Is it reaching your goals? What content is being read by your audience and what isn’t? Through testing and analyzing you can quickly find out what content appeals to your audience and what doesn’t. Google Analytics is a great tool for analyzing the number of users who have read your content on each page that it appears on. It also gives insights into how visitors find and use your content and how to keep them coming back. Keep analyzing this data and aim to grow users through creating more valuable content over time. Essentially you can then give your audience more of what they want which will further enhance the value of your content and maximise on continuously engaging with your target audience. Not only will you satisy your customers but you will also succeed in reaching your business goals.